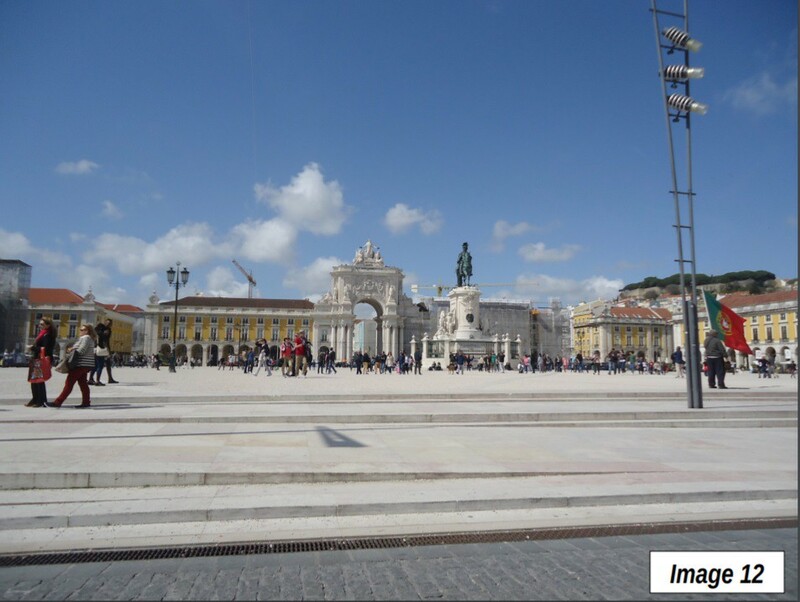 Lisbon, Portugal’s capital is located on the wide estuary of the Tagus River, with a bridge modeled after San Francisco’s Golden Gate Bridge connecting the core city to the suburbs to the south. 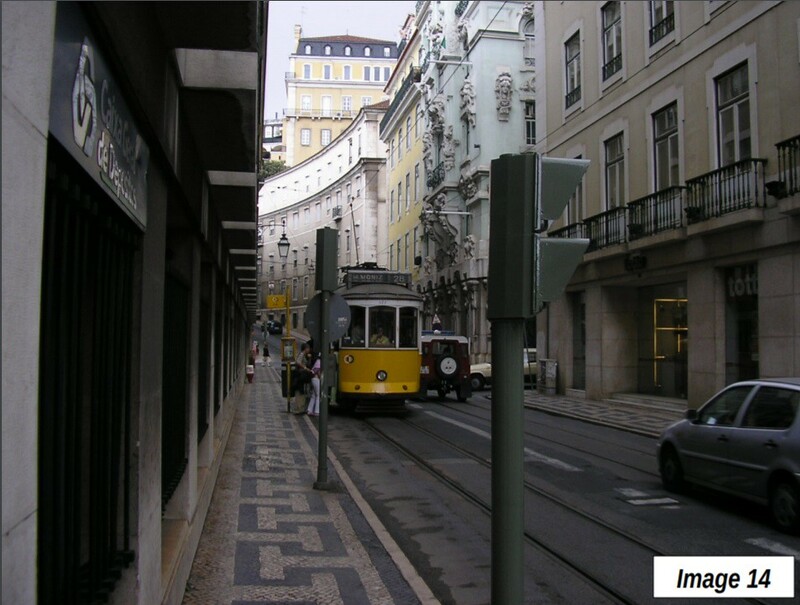 Lisbon also resembles San Francisco in being picturesque, with the urbanization mixed with the complex geography of the coastal waters, dominated by hills. 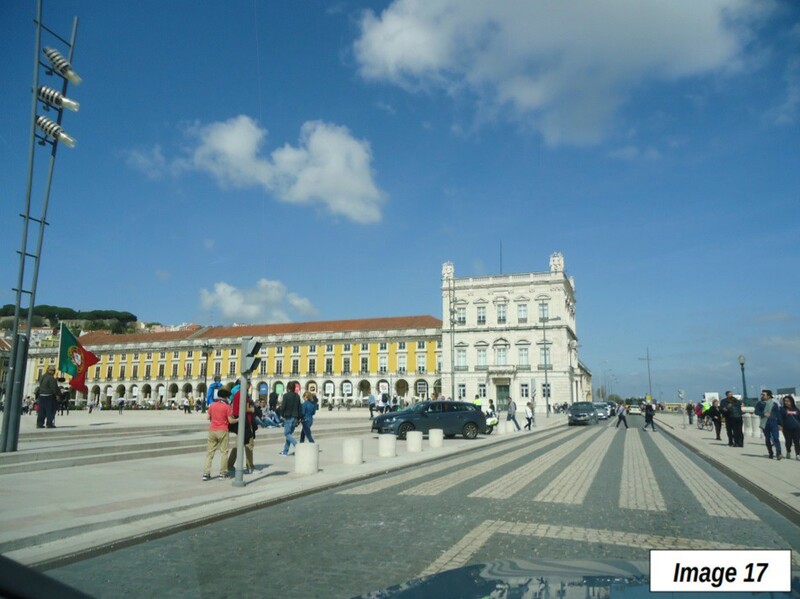 Lisbon is Portugal’s capital, and has a built-up urban area estimated at 2.7 million residents, covering a land area of 960 square kilometers (370 square miles). 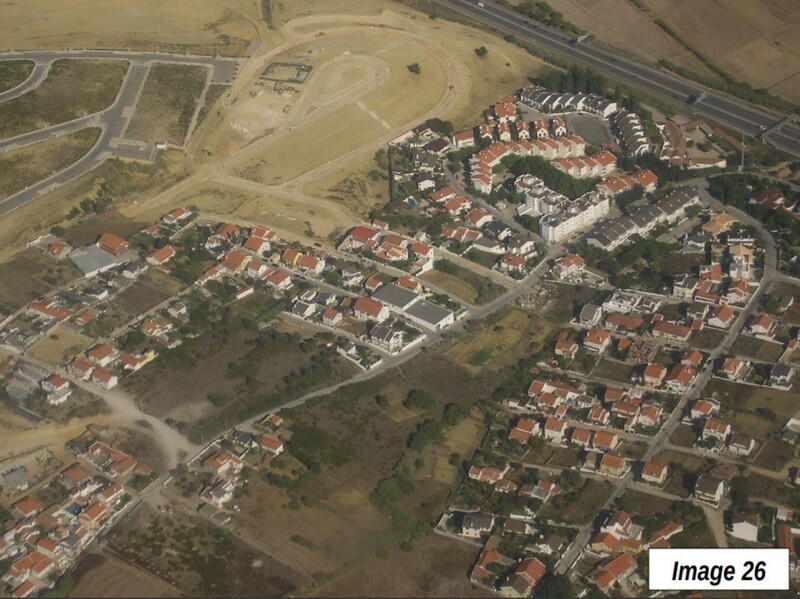 Its urban population density of 2,800 per square kilometer (7,300 per square mile) is nearly identical to that of larger European Union urban areas (those over 500,000), slightly less dense than the metropolitan areas of Toronto and 20 percent denser than Los Angeles and more than one-half denser than New York (Note 1). 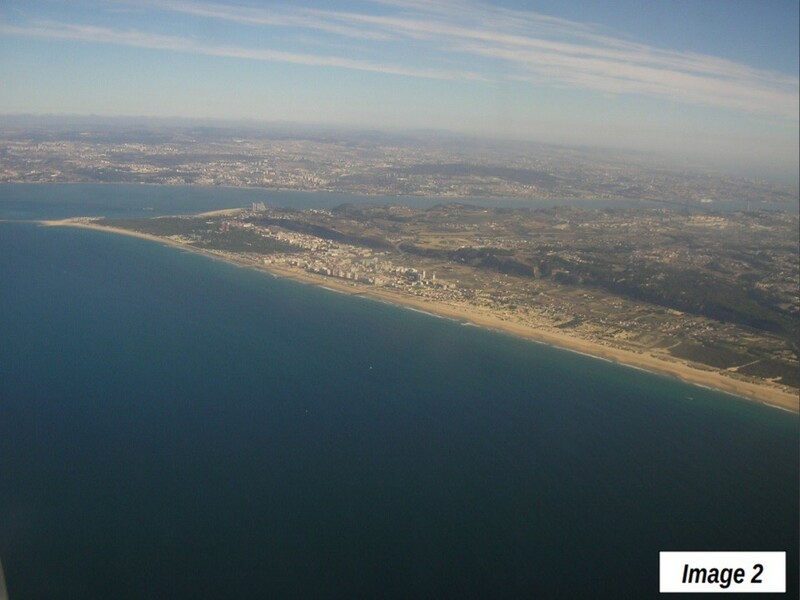 Images 2 and 3 show the aerial approach to Lisbon, with the Atlantic Coast and the southern suburbs, with the estuary of the Tagus River in the top third of the picture. 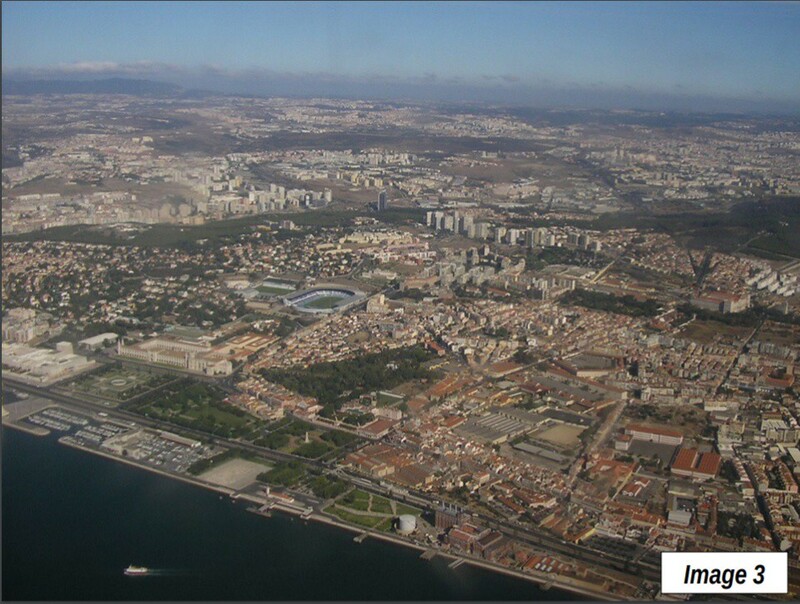 The Ponte 25 de Abril (25th of April Bridge), which connects the southern suburbs (below the Tagus River) and the city of Lisbon (above) is faintly visible toward the upper right of the photograph. 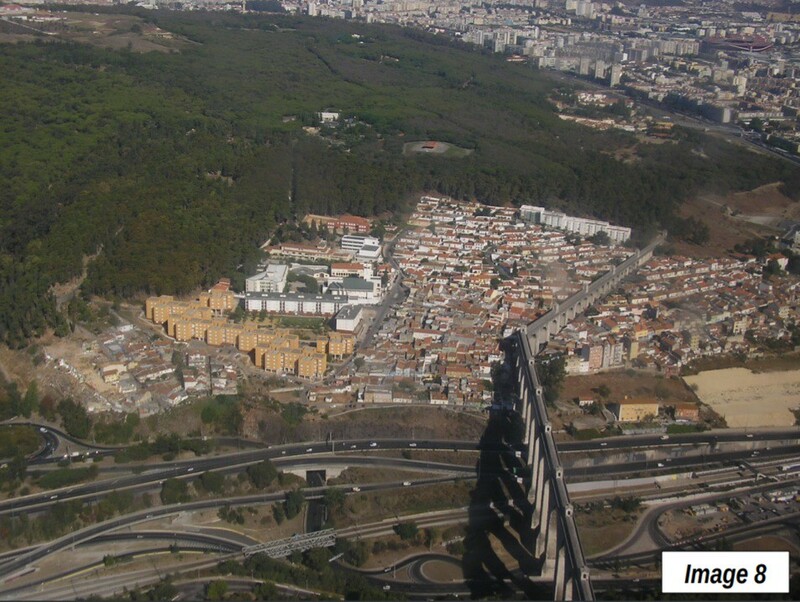 The Images 3 through 8 are additional aerial views and show the Águas Livres Aqueduct, which is also shown at ground level from the IP-7 motorway in Lisbon (Image 9). 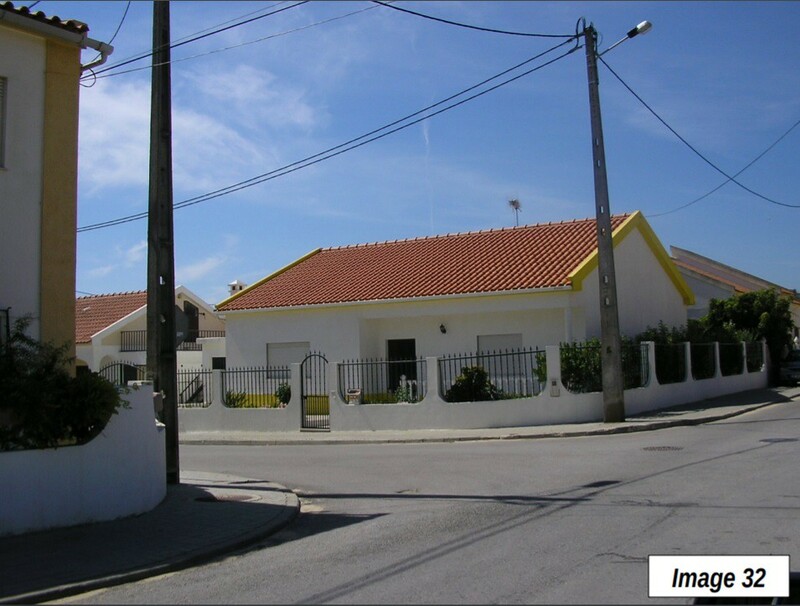 Consistent with trends around the world, all of the urban area’s population growth has been outside the historic core municipality for decades. 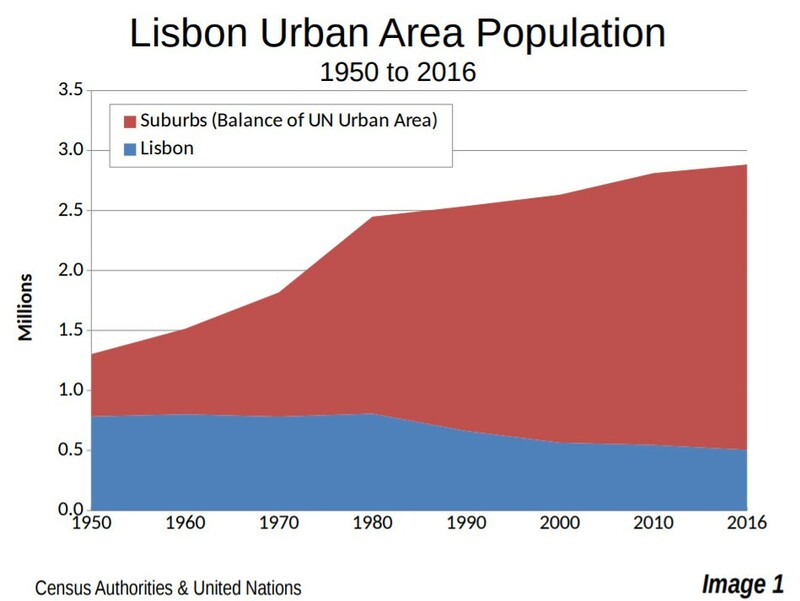 Lisbon’s population peaked at nearly 810,000 around 1980. Since that time, there has been a steady decline. 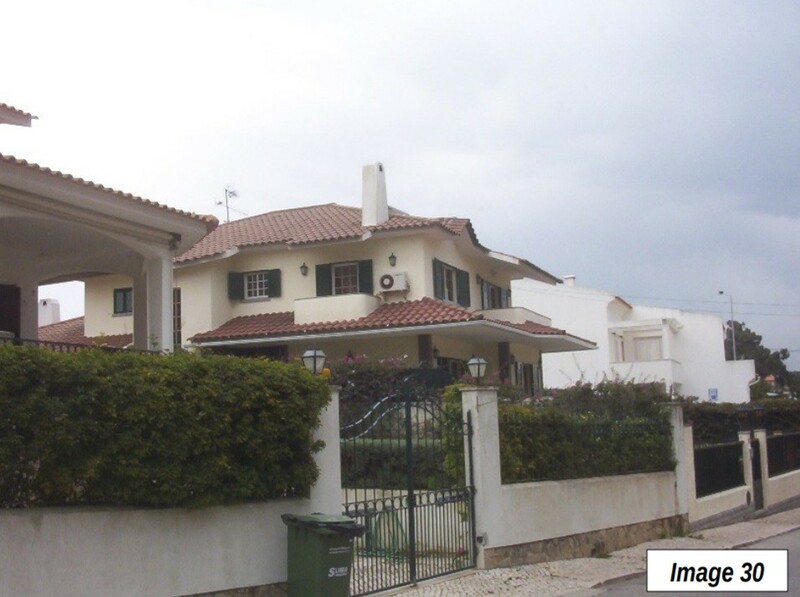 The most recent estimate indicates a population of just over 500,000 (2017). 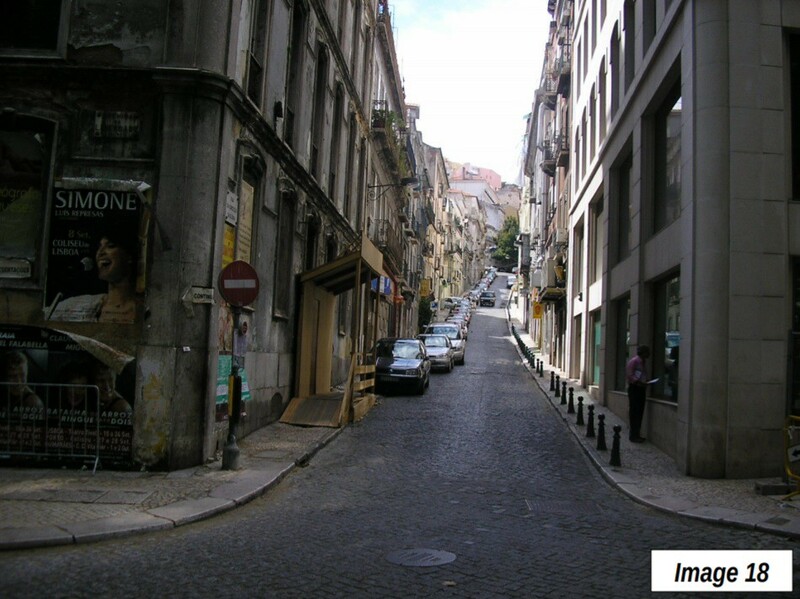 In 1980, Lisbon’s population density was about 8,000 per square kilometer (21,000 per square mile), approximately equal to the present density of the city of San Francisco. 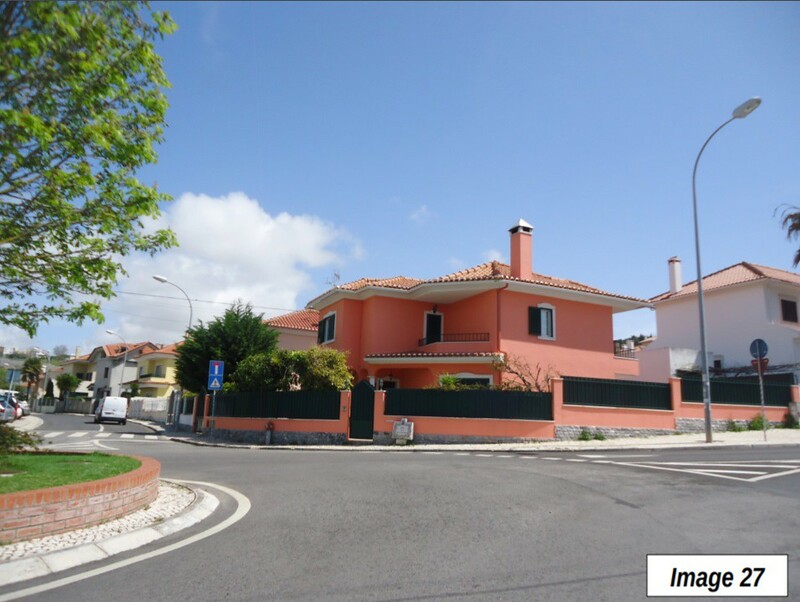 Now, the municipality of Lisbon’s population density is approximately 5,000 per square kilometer (13,000 per square mile), little more than that of Los Angeles suburb Santa Ana in Orange County. 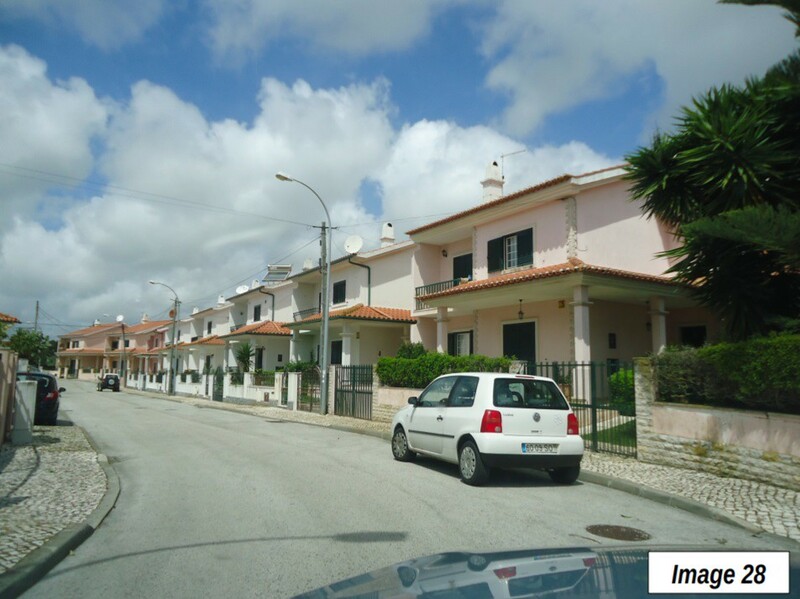 During the 1960s, the suburbs passed Lisbon in population and are now home to more than 80 percent of the population (Image 1). 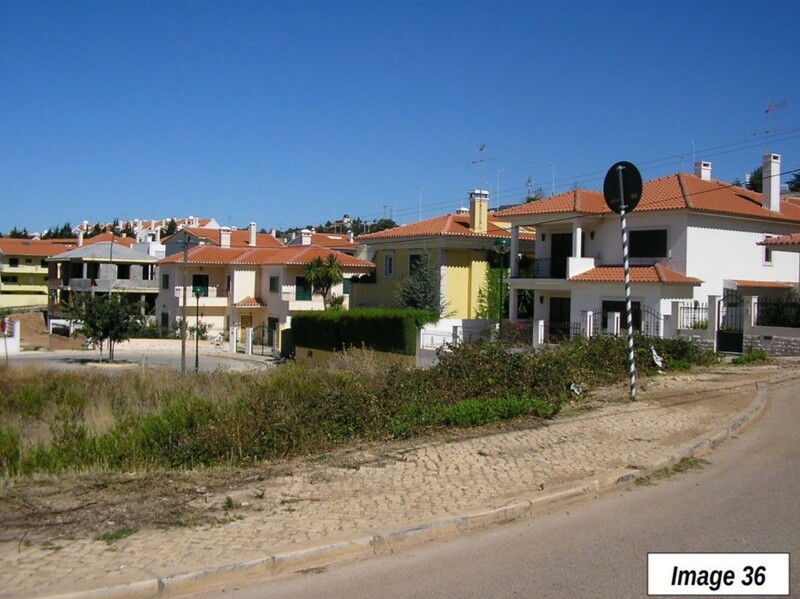 Suburban population has increased by more than 1,600,000, while the municipality has lost 300,000. 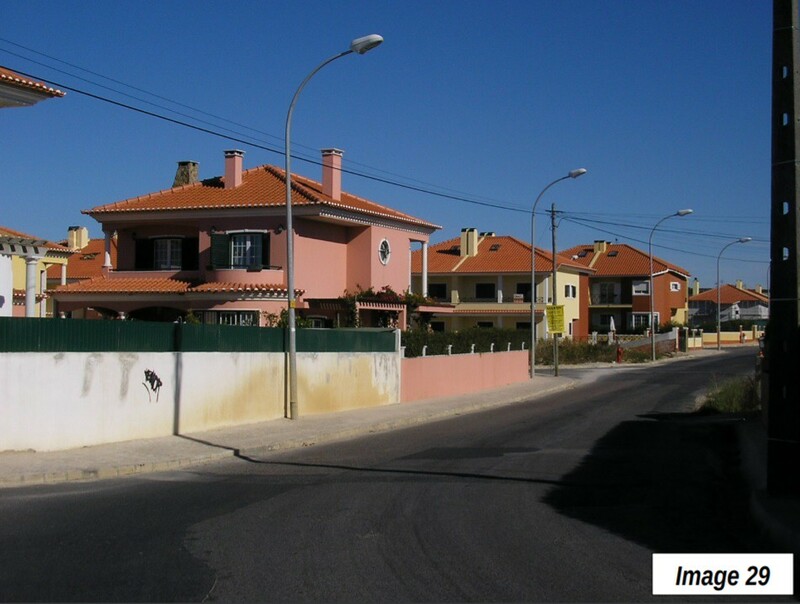 Much of the suburban population growth was in Sintra, located to the extreme northwest of the urban area, along the Atlantic coast and north of Cabo Roca (below), While Lisbon was losing at least 260,000 residents over the last three decades, Sintra was gaining 150,000 and is the second largest municipality in the area with 385,000. 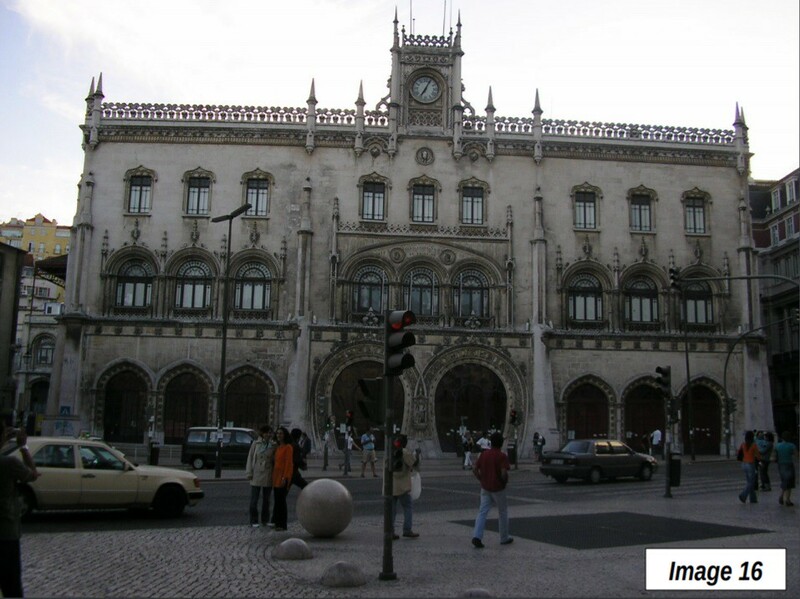 Lisbon, however, remains the largest municipality in the urban area. 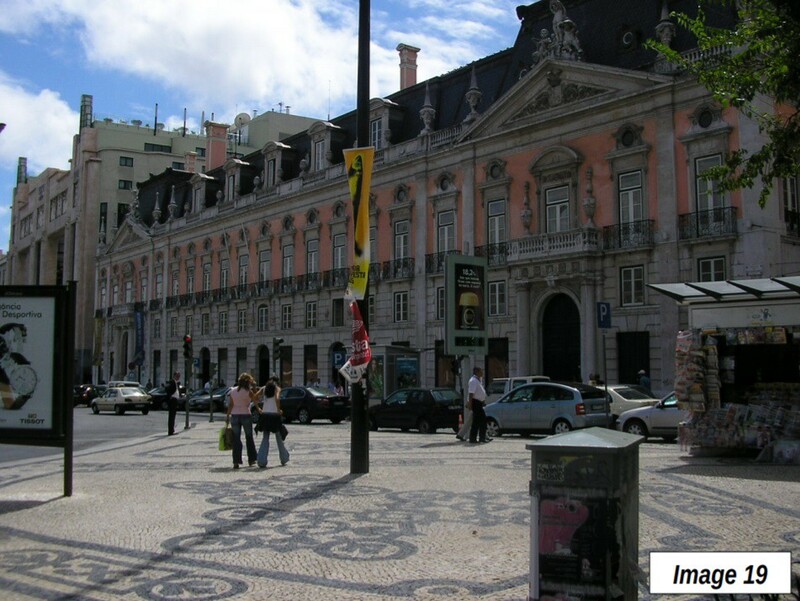 Lisbon has thus been spared the ignominy of the nation’s second largest urban core municipality, Porto, which has seen its population fall to about 25 percent lower than that of suburban Vila Nova. 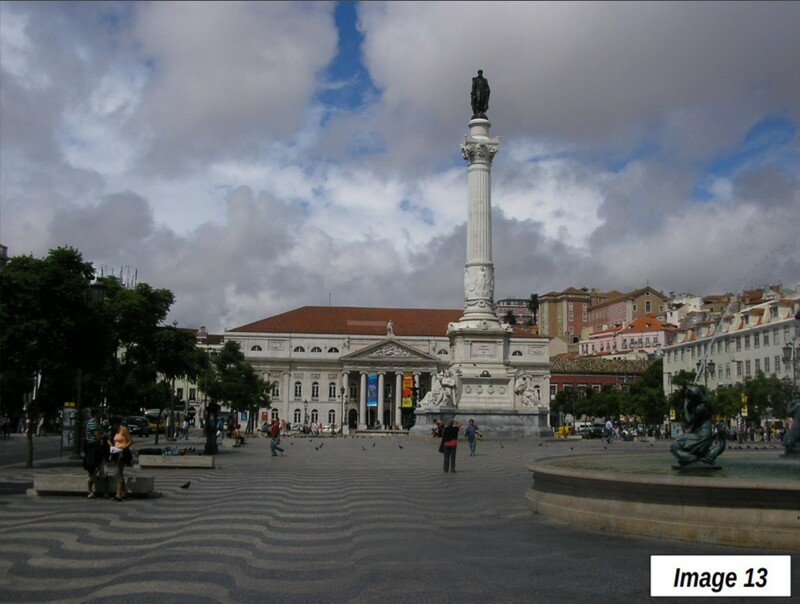 The municipality of Lisbon continues to have the dominant commercial (and tourist) center of the area. 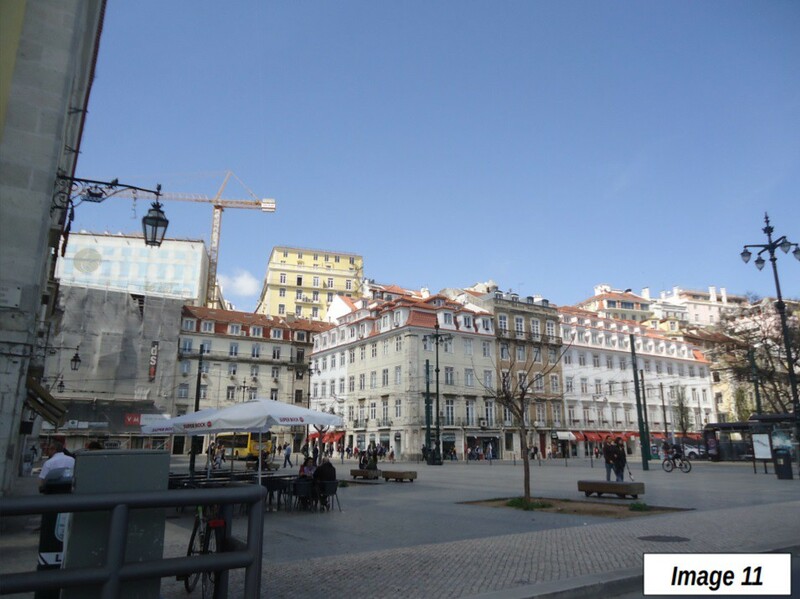 There are few tall buildings in Lisbon, which is typical for many urban cores in Europe. 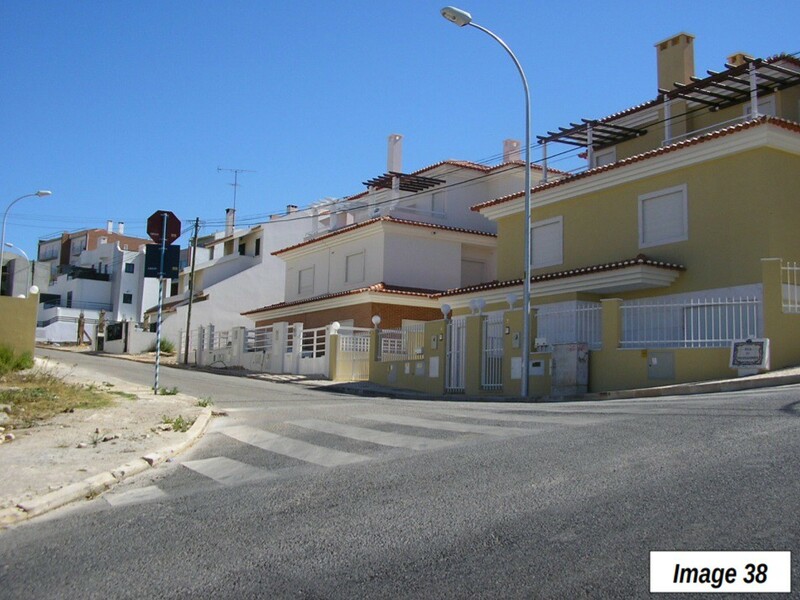 The municipality is built on a hill, with narrow streets and dominated by mid-rise buildings (Images 9-20). 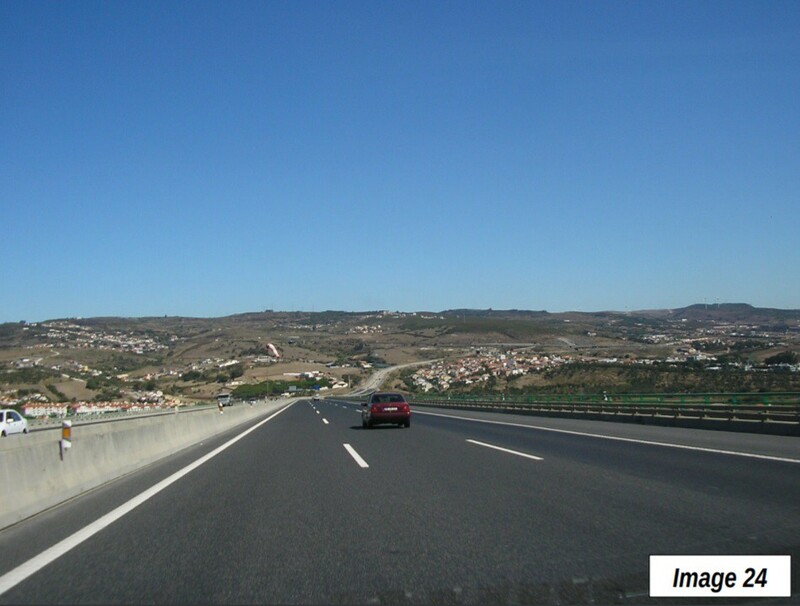 A large “edge city” type commercial center has developed along the I-5 motorway in Oeiras, west of Lisbon (Image 21). 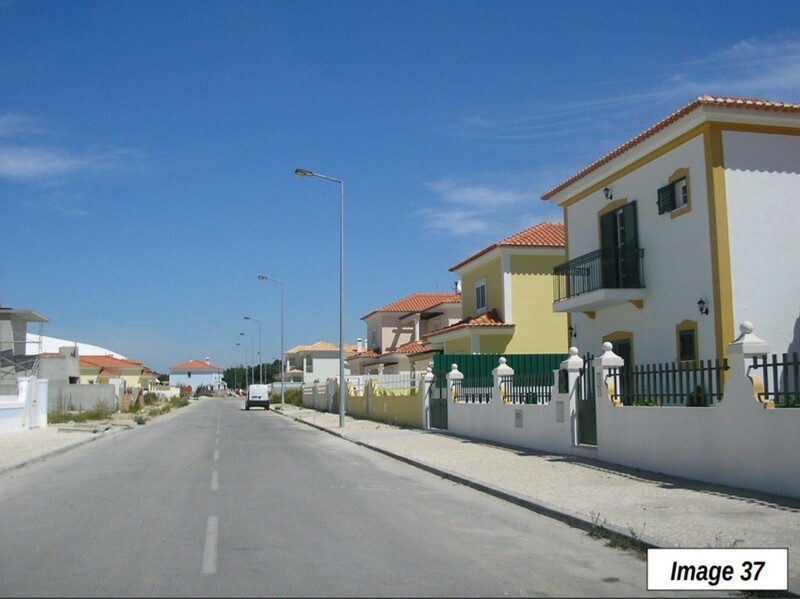 Joel Garreau coined the term “edge cities” to characterize the new urban centers, outside the old downtowns (central business district) that “contain all the function a city ever has, albeit in a spread-out form” where “little save villages or farmland lay only 30 years before.” (Edge City, Page 4). 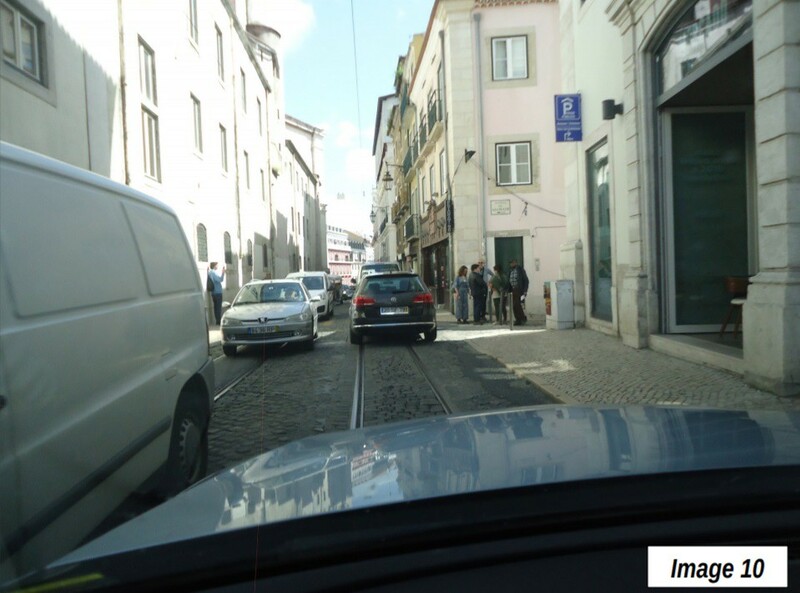 Garreau provides a detailed definition (See Note 2) and it seems likely that Oeiras meets the criteria. 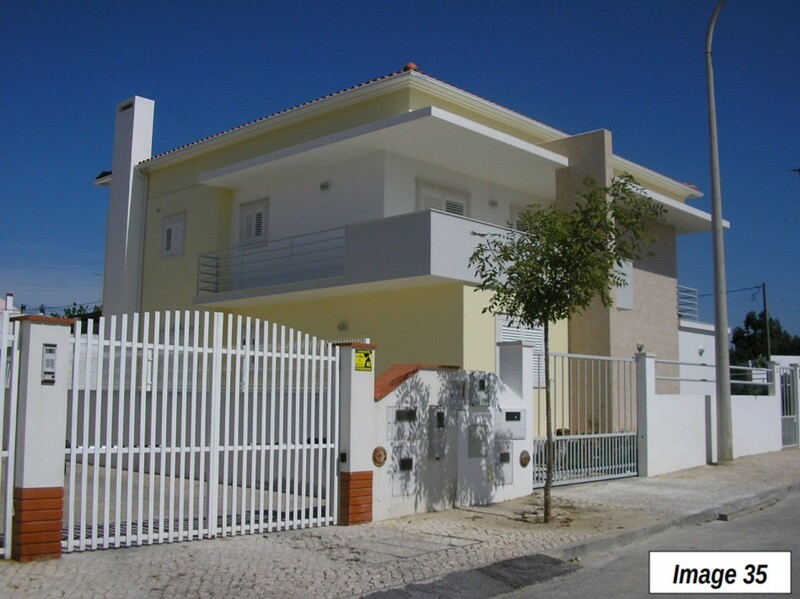 Some of the largest office buildings in the Lisbon area are located here, as well as large shopping centers. 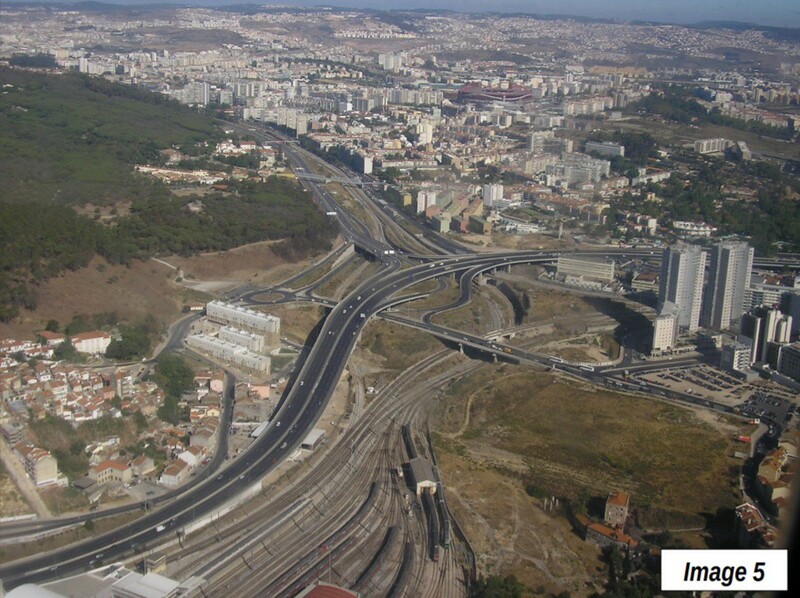 Lisbon has one of Europe’s better urban motorway (freeway) systems. 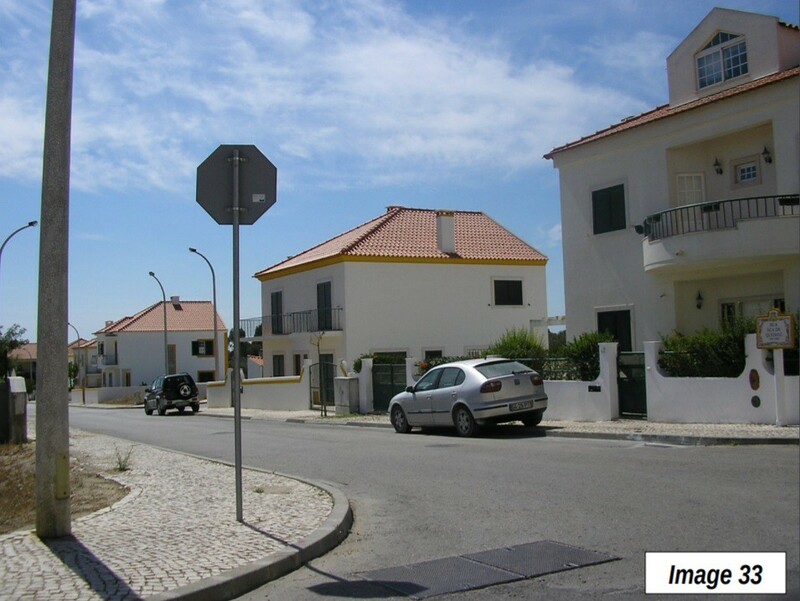 Most of the roads in the Lisbon area are free, though there are tolls between the outer suburbs (such as Sintra and Setubal) and the inner suburbs (Images 22-24). 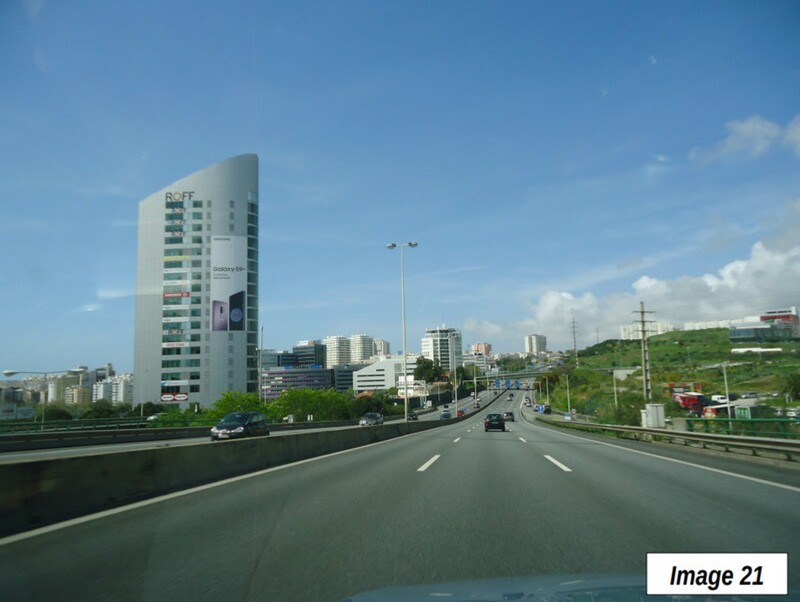 With all of the water bodies in the area, the bridges are key. 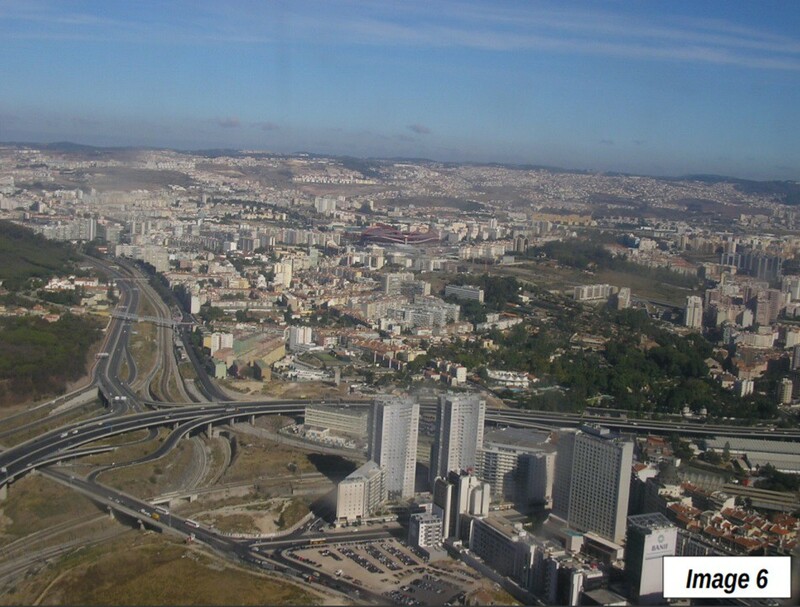 The first major bridge, the Ponte 25 de Abril (25th of April Bridge), opened in 1966 between the city of Lisbon and the suburbs to the south of the Tagus estuary (see photograph at the top). 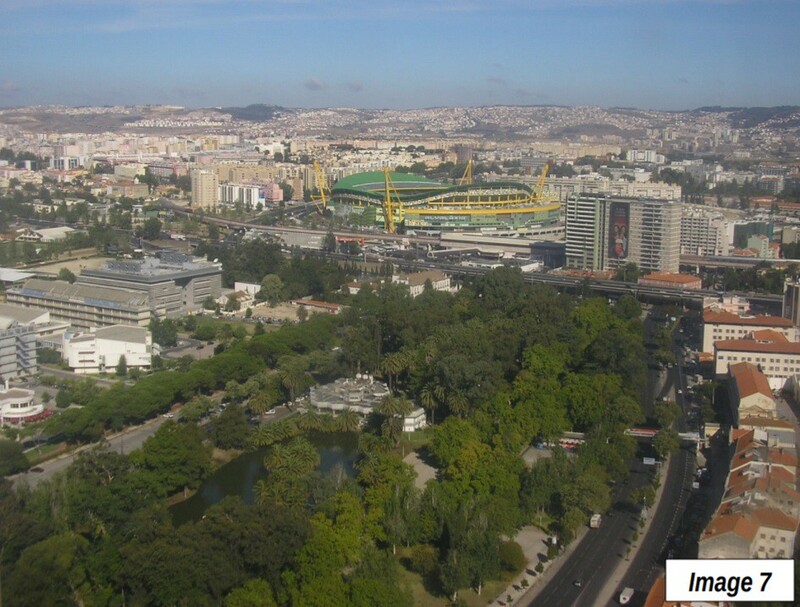 The bridge is named for the date of “Freedom Day,” which commemorates the overthrow of the authoritarian regime that governed Portugal from 1932 to 1974. 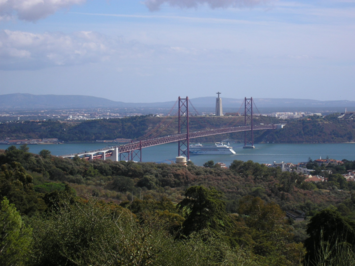 When built, the Ponte 25 de Abril was the world's fifth longest suspension bridge. 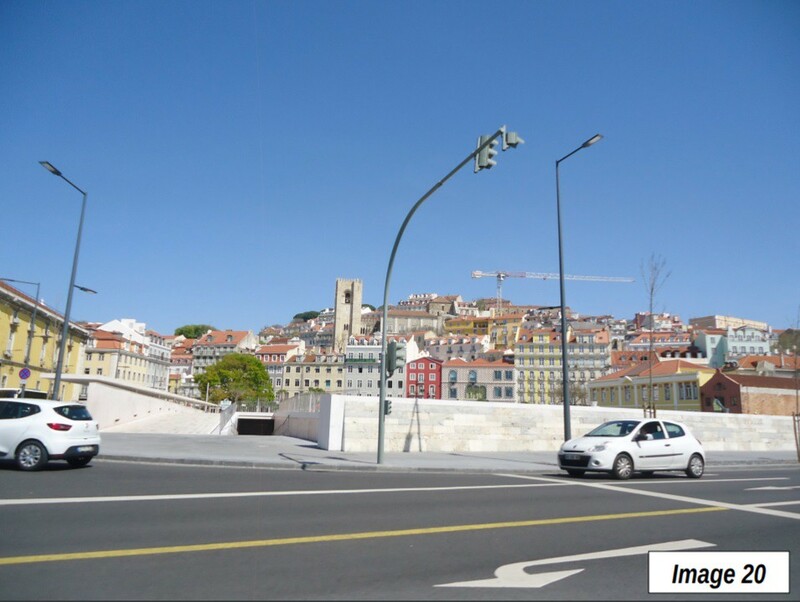 Until 1974, it was called the Salazar Bridge, after Antonio Salazar, who was the leader from 1932 to 1968 of the authoritarian government, which was overthrown by the "Carnation Revolution" in 1974. 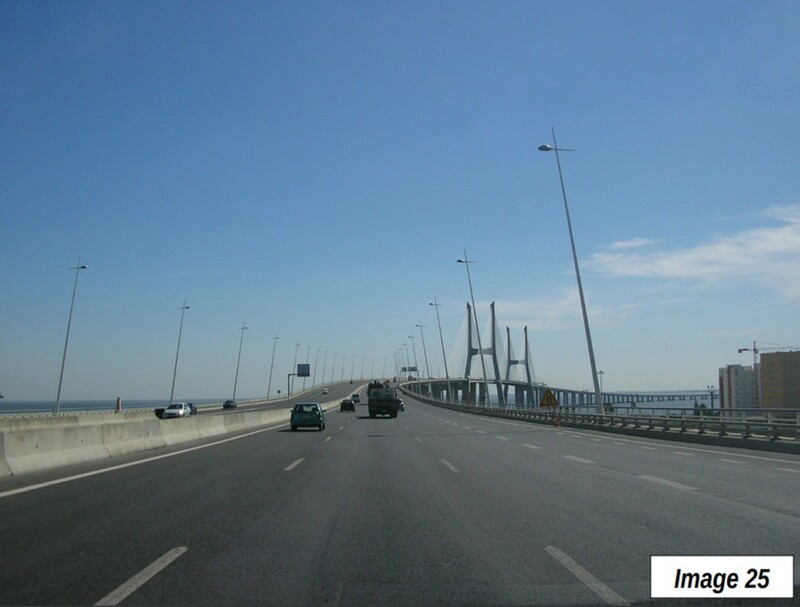 The second major crossing was the Vasco de Gama bridge, opened in 1998, which connects the inner suburbs north of Lisbon to the western suburbs (Image 25). 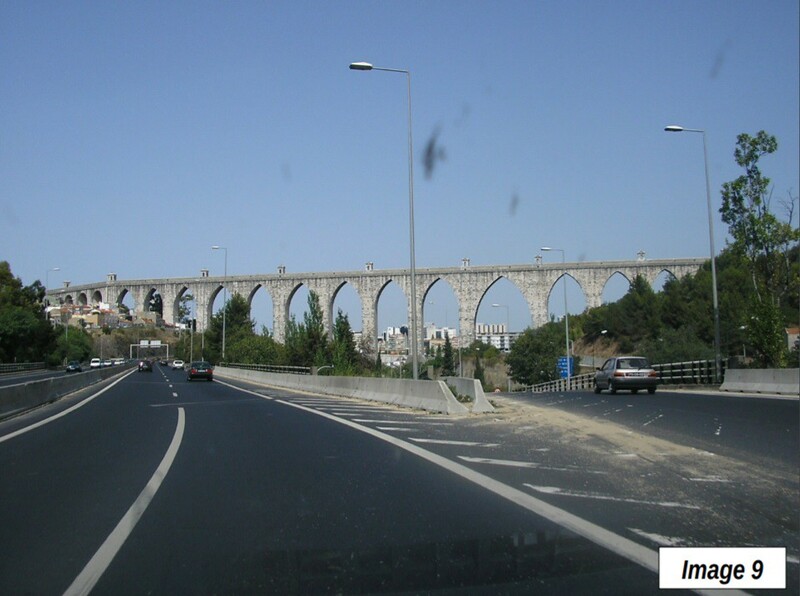 The Vasco de Gama (named for the first European to reach India by around the Cape of Good Hope in Africa) is one of Europe’s longer bridges, spanning 12 kilometers (7 miles). 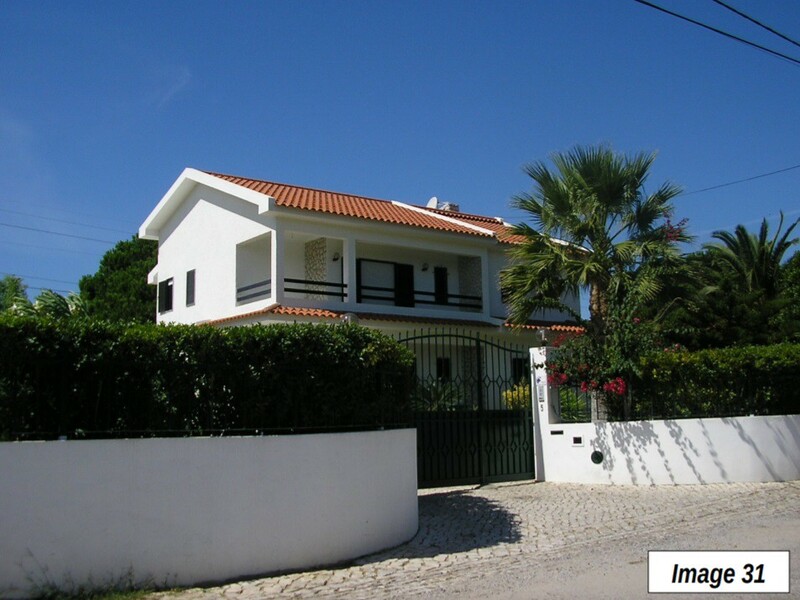 The suburbs of Lisbon contain a mix of detached, semi-detached (townhouse) and apartments. 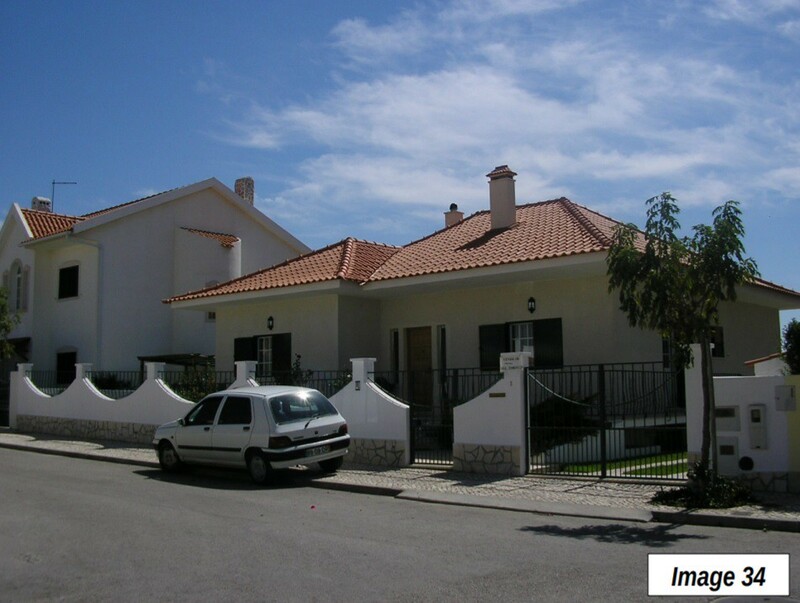 The pastel colors typical of single family houses gives Lisbon a distinctive look (Images 26-39). 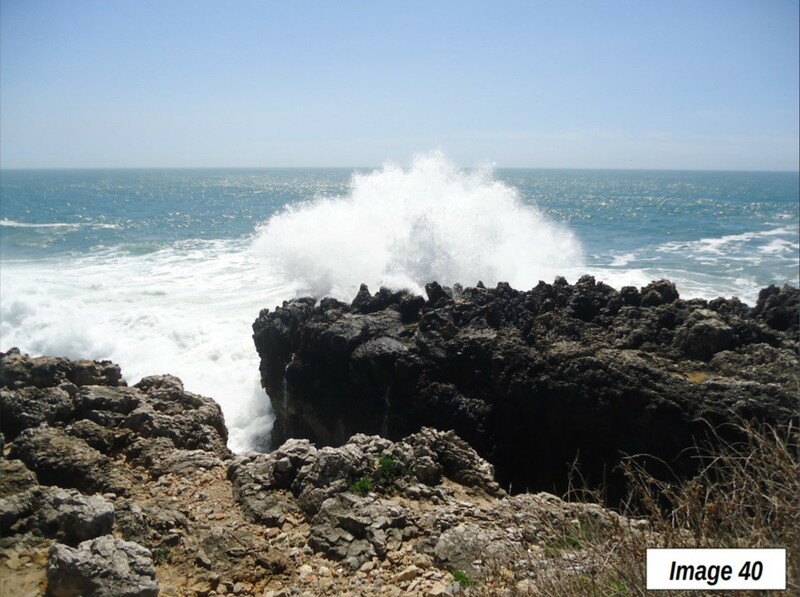 Further, it is not necessary to travel very far to see stunning natural beauty. 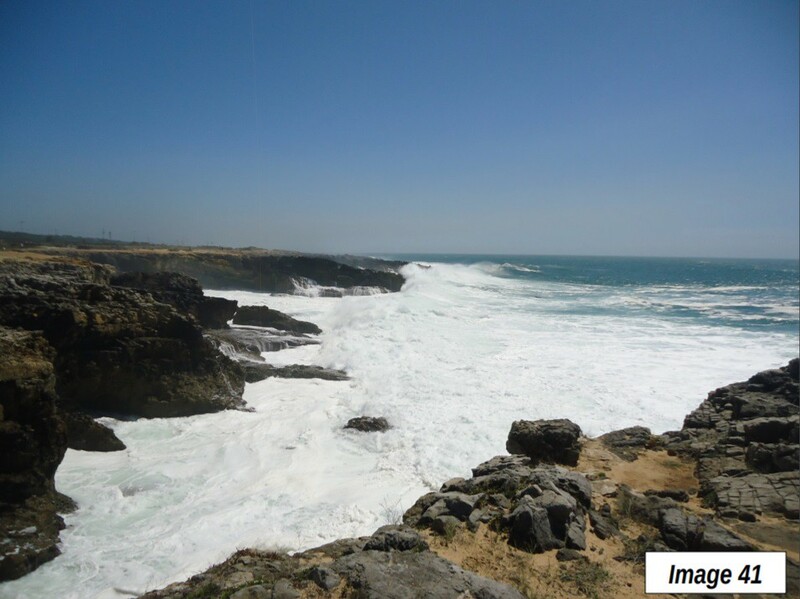 No more than three kilometers (two miles) beyond the western edge of the urban area (Cascais) on the north side of the Tagus estuary, there is a rugged Atlantic coastline with spectacular wave action (Images 40-42). 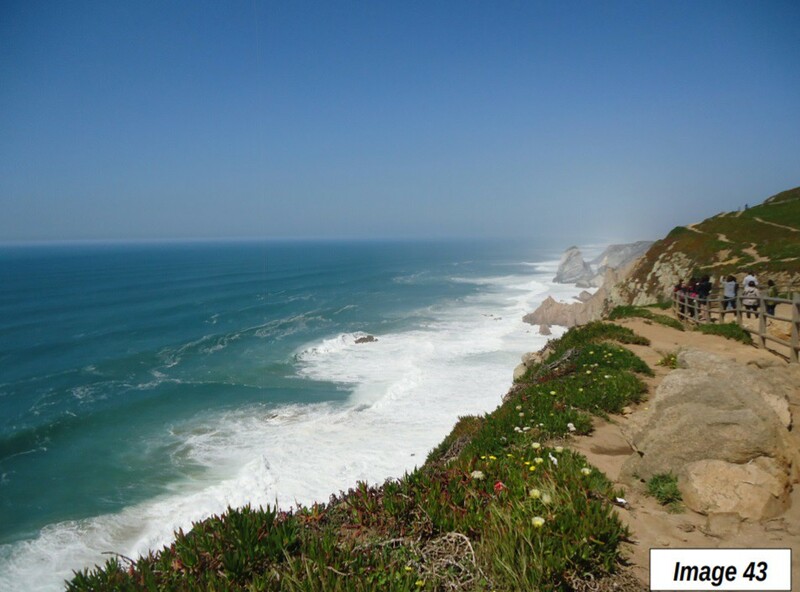 Somewhat farther to the north and requiring a drive inland and over picturesque hills (Image 43) is Cabo de Roca, the westernmost extension of continental Europe into the Atlantic. 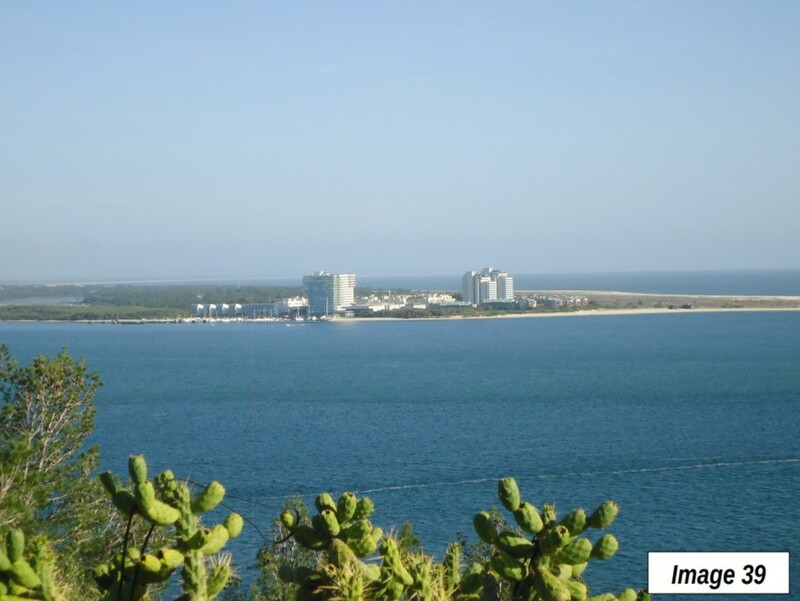 For some (including me), some of the most picturesque urban areas are located on the seacoasts, especially those where the water and the urbanization mix with one-another such as with bays, inlets and irregular coast lines. 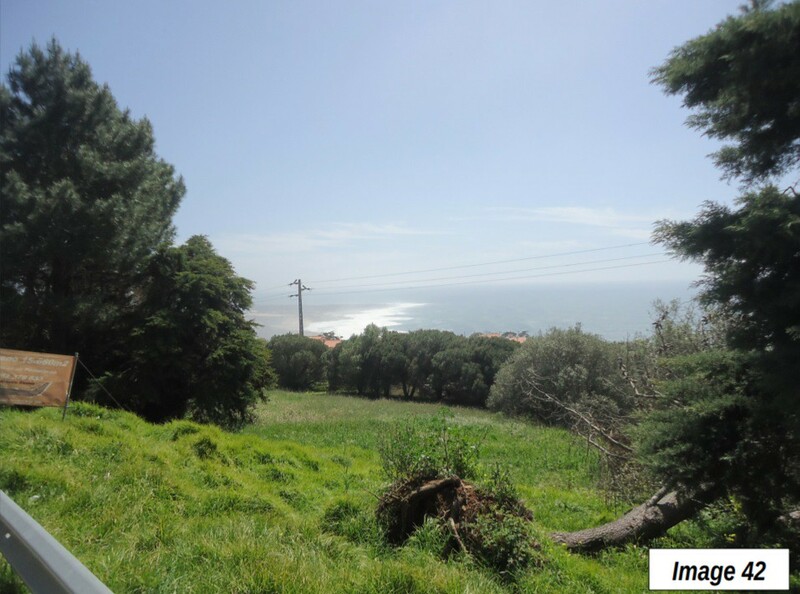 Rio de Janiero, Qingdao, Hong Kong, Seattle, Sydney, and Auckland are prime examples. 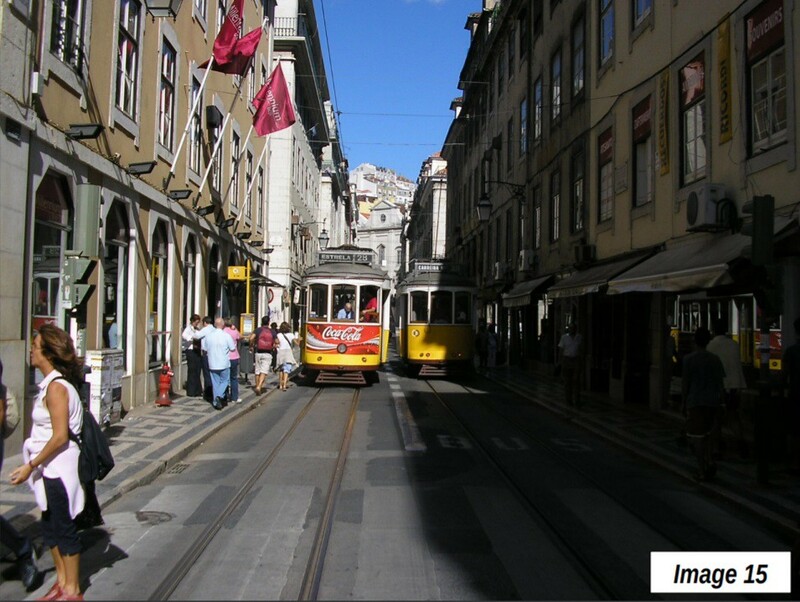 Among such urban areas, San Francisco is one of the best examples, but so is Lisbon. Note 1: Continuous urbanization in the Greater Toronto Area, the Los Angeles combined statistical area and the New York combined statistical area. 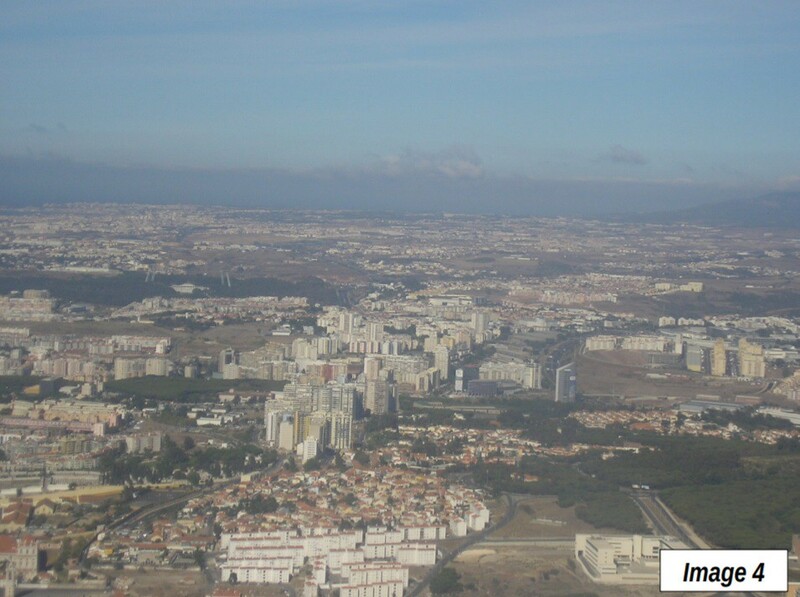 Note 2 (Edge Cities): Writing in the early 1990s, Garreau defines Edge Cities has having (1) More than 5 million square feet (465,000 square meters) of leasable space, (2) More than 600,000 square feet (56,000 square meters) of leasable retail space, has more jobs than bedrooms, (4) “is perceived by the population as one place” and (5) “was nothing like “city” as recently as 30 years ago.” Garreau further notes that each Edge City is larger than downtown Portland, Oregon or Tampa. 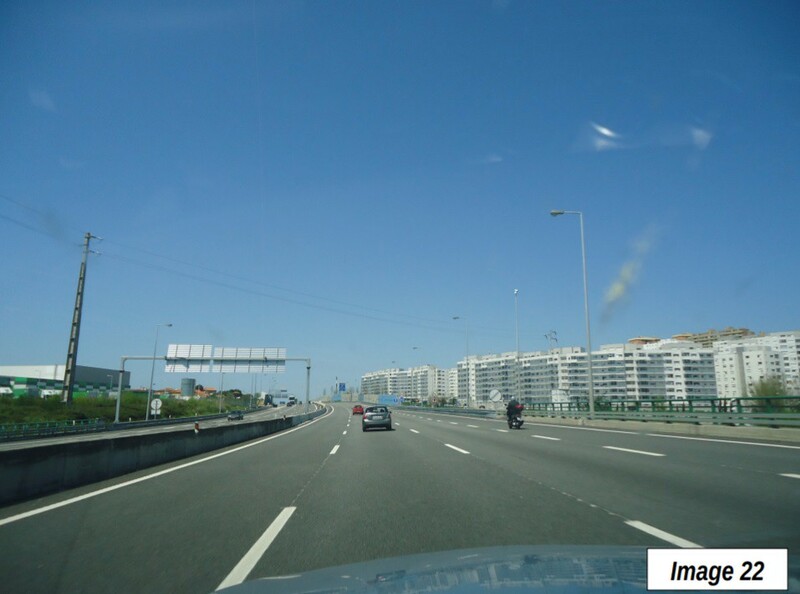 His four principal examples were (1) the Route 128 corridor (now Interstate 95) in metropolitan Boston, (2) Schaumburg in metropolitan Chicago, (3) Perimeter Center in metropolitan Atlanta, and (4) Orange County’s Irvine in metropolitan Los Angeles (Page 5, Edge Cities). 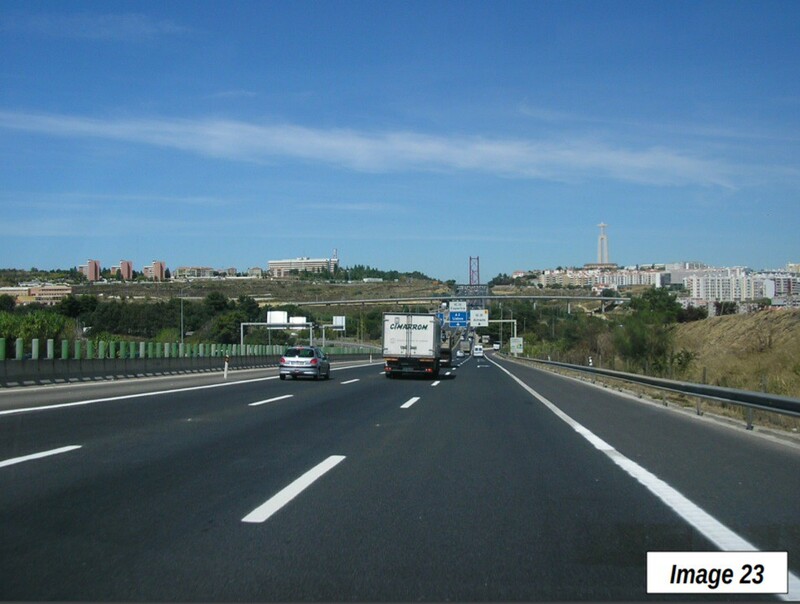 Photograph: Ponte 25 de Abril (25th of April Bridge) from Monsanto (Lisbon) toward the southern suburbs, by author.